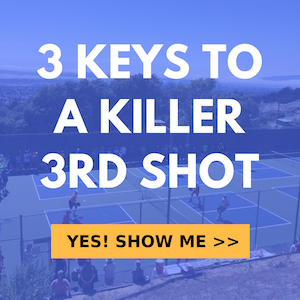 A great shot to add to your pickleball arsenal is the offensive lob. A well disguised and executed lob can be deadly, especially when all four players are leaning in hard at the kitchen line expecting a dink or a fast ball. In this video, we show you how to hit this deadly shot and also how to disguise it well for maximum effect.